Why would a homeowner or a small business consider in going solar? Solar is free and abundant in nature: With solar you do not need to burn any fuels to produce it like you would do with fossil fuel powered generators or other power systems. It is readily available and abundant and can be harvested through solar photovoltaic (PV) cells and stored in battery banks or fed into the grid for later consumption when sunlight is not available at night. Excess or surplus energy produced at off-peak hours can be used later during on-peak hours through an arrangement with your power utility called net-metering. Solar is clean and renewable source of power: There is no carbon combusted to produce energy and hence solar energy is regarded carbon neutral, eco-friendly and a clean source of energy. Solar is a free and inexhaustible resource that is considered a renewable energy source. With solar you can save money in your energy expenditure: Solar energy when harvested through photovoltaic (PV) cells usually called solar panels, can save you from 50% to 75% of your current energy bill. How much can you save when you go solar? SolarWorld-USA illustrates a range of typical solar panel layouts and savings. A relatively small building in North Carolina holds 324 solar panels and saves $6,855 a year in electric bills, with bills dropping below $20 for some months. A bigger building in California holds 1,008 solar panels and saves $54,100 a year in electric bills, with monthly bills dropping from around $12,000 to around $700 per month. Additional case studies are available here. For your specific business or household energy savings resulting from switching to solar use this online solar energy system that shows your specific roof and how much energy it can produce when you place solar panels on your roof. How much can you do to save the Earth when you know how to go solar? According to the EPA, a typical household in Tennessee accounts for about $7,000 pounds of CO2 emissions (each year) for every $50 on their electric bill (each month), since their power plant primarily burns coal. If they have a business whose monthly electric bill averages around $700 each month, and they can install enough solar panels to get that down to $300 each month, that translates to the equivalent of pulling eight well maintained cars off the highways. Is your geographical location suitable to solar power? What are your current energy requirements? What percentage of your current energy requirements can you off-set with solar power? What is the cost of your solar power switch? What are the current state and government policies that favor your solar power adoption? 1. Is your geographical location suitable to go solar? This is one of the most important question to ask because it will determine whether switching to solar will be cost-effective for you or not. There is ample solar radiation across the United States since solar energy is harvested from its sunlight and not the heat that comes from the sun. As long as there is light outside, you are assured that your solar system will produce solar electricity. However, solar PV systems function very well in the southwestern United States which receives the greatest solar insolation throughout the year. Therefore, before you make the decision to solar power or buy a solar panel, it is a good thing to contact a solar supplier who will conduct a site analysis of your home or business to determine whether your solar site will harness a good amount of solar electricity that is cost effective or economical. If you are looking for a solar supplier to provide you with such expertise you can click here to be connected with solar energy providers of your choice. 2. What are your current energy requirements? Knowing your energy requirements will help you to size your solar power system and you will identify the trends of electricity consumption allowing you to predict your energy consumption in the future as well. You can evaluate you annual electricity consumption expressed in kilowatt-hours (kWh) form or units. If for some reason, this information is not available, you may contact your power company to provide it to you. Once you have figured out your energy consumption, you can also consider to perform an energy audit for your home or business to check whether there are any energy losses and how to fix them through energy efficiency. Fixing energy efficiency issues will lower your energy consumption estimates and you will be able to get an accurate size for your solar power system. You can check here to learn more about energy efficiency. After fixing energy efficiency, you can contact an experienced solar contractor to help you design or size your solar PV system for your home or business. 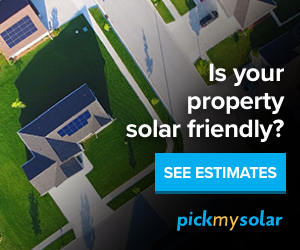 If you are looking for such solar contractors you can start using this solar panel cost calculator by inputting your address and your specific energy profile and how much you could save will be pulled out from the EnergySage solar energy system. 3. What percentage of your current energy requirements can you off-set with solar power? This will depend on the size of your solar power system and your current energy consumption for your business or home. In most cases, solar systems will save you from 20% up to 75% of your current energy bill and the rest of the power will be drawn from your power utility. To determine your specific energy saving, input your address here to estimate your specific case and how much you can save by switching to solar. 4. What is the cost of your solar power switch? The cost of your switching to solar will depend whether you prefer direct ownership of your system or third-party ownership. Under direct ownership, you as the system owner will cover all the costs associated with the installation of the solar power system. This cost covers everything including equipment costs for the PV modules, solar power inverters, mounting and racking hardware, meters, disconnect devices and system wiring. According to the Solar Energy Industries Association (SEIA), capacity-weighted average residential system pricing reported by state and utility solar programs in 2015 in the first quarter was $4.43/Wdc, while for commercial solar systems was reported at $3.23/Wdc. This cost also includes soft costs such as obtaining permits, system inspections, project financing, securing interconnection approvals and sales tax. Also under direct ownership model, you will be responsible to finance the cost of operation and maintenance, including servicing, inspection of hardware and monitoring systems and replacement of inverter components. This cost can range between $6 and $27 per kilowatt according to the Electric Power Research. You may need to insure your solar system against loss or damages and this cost can range between 0.25% and 0.5% of total installed costs. Third-party ownership is the most simplest way to go solar and today the solar industry has grown because of this model. Under this model, you do not own the solar system installed by the solar contractor and through a Solar power purchase agreement (PPA) you enter into an agreement with the solar contractor who will assume all responsibility for the costs of installing, operating and maintaining the system. Through this agreement, you pay nothing upfront, but agree to pay for the electricity generated by the solar power system (owned by the solar contractor) often at a rate lower than that paid to your power utility. The PPA rates can be fixed or variable based. For variable solar PPAs, there is an escalation factor that is typically between 2–5% per year based on how conventional energy prices are increasing or decreasing. Third-party arrangements can also come in the form of solar leases where in this case instead of you agreeing to pay for electricity generated by the system, you agree to lease the PV system for a specified period of time usually 10 to 25 years. However, Solar PPAs are not available in all the states and you can check here to see whether your state has a Solar PPA framework in place. The advantage of third-party financing (solar PPA or Solar Lease) you don’t need any money upfront to switch to solar power. It is usually zero money down and you only pay a specified amount slightly lower than your current monthly bill for a specified period of time based on your current situation. Learn more here about Solar PPA and Solar Leases. Also if you are interested in switching to solar power today start here to determine your specific solar energy profile and how much you can save. 5. What are the current state and government financial incentives and policies that favor your solar power adoption? Currently there are various financial incentives available to help homeowners and businesses switch to solar power. The most common financial incentive is the solar Investment Tax Credit (ITC) which is a 30% tax credit for solar systems on residential and commercial properties and continue to be used by the government to support the deployment of solar energy in the US. The ITC has assisted the solar market to grow by 1600 percent since it was first implemented in 2006. The ITC expires in December 2016. Also the ITC and other State rebates can help to reduce your cost of switching to solar power by up to 50% of the total installed cost. In addition, the net-metering policy allows for solar consumers to feed excess power back into the grid when excess or surplus power is generated by their solar power system. Net-metering applies meters that are able to run backwards when excess power is fed back into the power grid and the consumer receive a credit whenever this happens. Find incentives and policies by state at the Database of Incentives for Renewables and Efficiency (DSIRE) to support you to switch to solar power while saving money.